Scooter’s 757th bar, first visited in 2010. HUUUUGE country-western night club, with a capacity of over 3,000 people. Unfortunately I went on a night where there were only 11 people, making the cavernous space seem completely dead. There’s a huge elevated central dance floor with a square footage that rivals or exceeds most homes. To the east is the main bar, a rectangular bar in the middle of a lounge area with bar tables, couches, and lunge chairs. 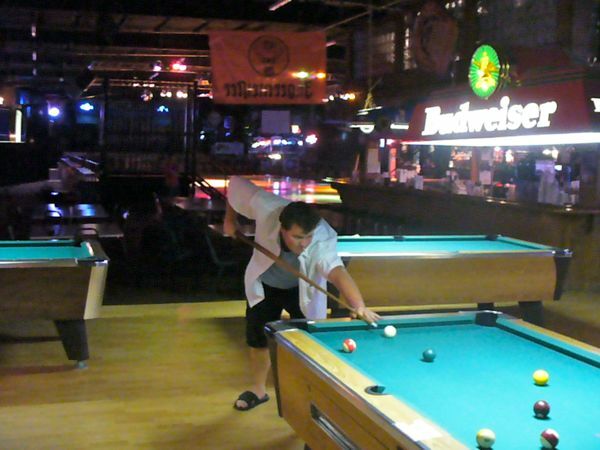 East of that is the billiard area with numerous pool tables. Along the back wall are dart boards and the claw machines that for some reason are so beloved in Eastern Jackson County bars. There’s an additional bar along the back wall. Finally, at the west end, is a restaurant area open only on certain nights of the week. This is one of only two 3am bars in Eastern Jackson County. The other is half a mile south of here. 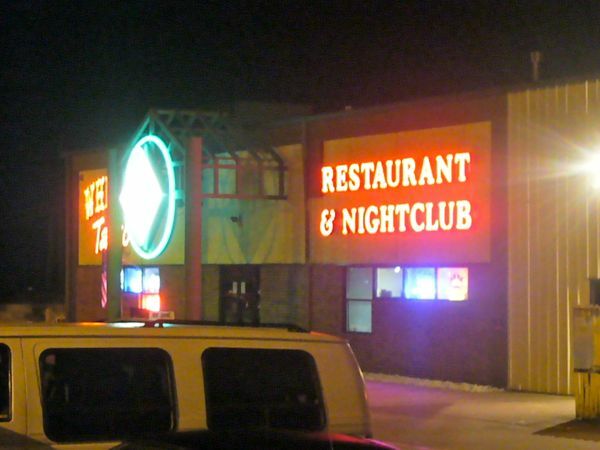 I’ve often wondered why Grain Valley is the only city in Jackson County outside of Kansas City that has issued any 3am licenses. $5 cover on weekends, no cover on weekdays. Drinks are surprisingly cheap.